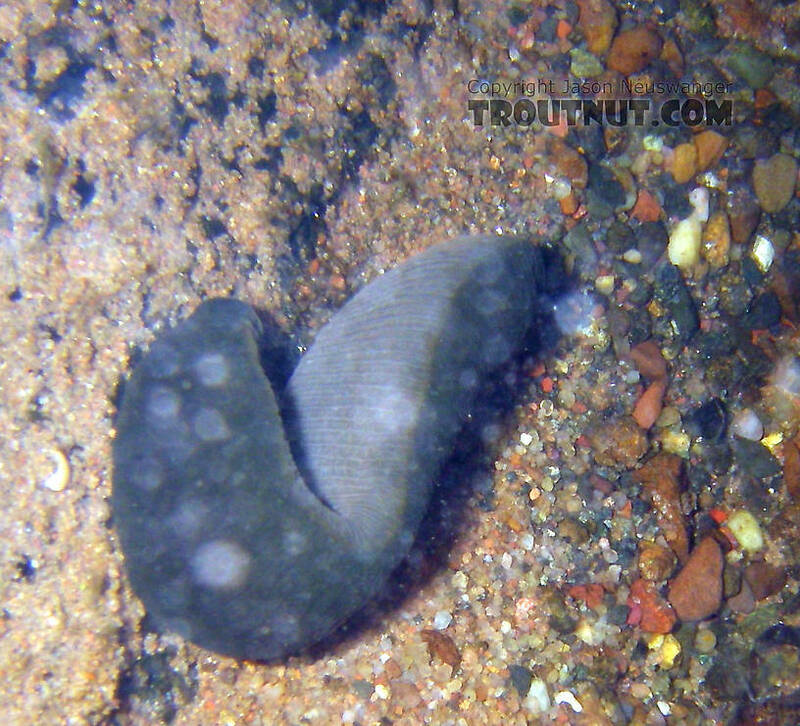 The subclass Hirudinae in the class Clitelatta contains all leeches. Leeches are occasionally found naturally in the drift in trout streams, although I've never heard of them being present in such numbers that they're a major component of the trout's diet. They make great models for streamer flies because they're so large and ambiguously lifelike, and it's easy to make a little clump of feathers look quite a bit like a leech. I spotted this very large leech freely tumbling, and occasionally stopping, along the bottom of a clear, cool trout stream. I paid careful attention later and spotted two more like it, but this one was the largest -- probably over 7 inches stretched out. There is one other picture of it. 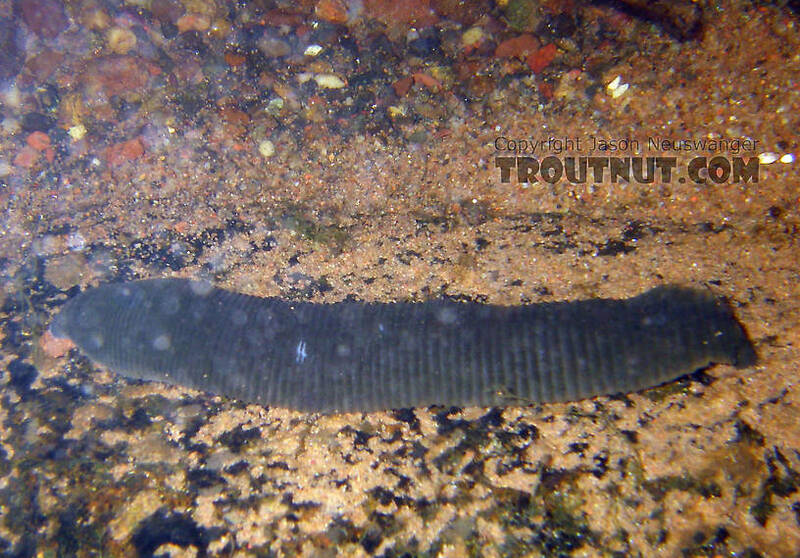 In this picture: Animal Class Clitellata-Hirudinae (Leeches).